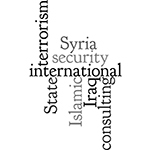 Despite several recent terrorist attacks, many international security consulting experts believe that the Islamic State is weakening due to several setbacks over the past year. In 2015, the Islamic State started riding a wave of momentum generated by its massive effort to grab territory in both Syria and Iraq during 2014. It controlled the city of Mosul – a large population center significant for its potential to generate tax revenue. It also captured the city of Ramadi, the capital of Iraq’s Al-Anbar province. Additionally, it managed to continue this progress despite being the target of ongoing air strikes by coalition aircraft. However, by the end of 2015, the Islamic State was in a markedly worse situation. In September, Islamic State had to contend with Russia’s entry into the conflict, which strengthened the government of Bashar Al-Assad in Syria. In November, U.S-led coalition aircraft provided air support for Kurdish and Yezidi ground forces in Iraq during a bid to retake Sinjar. This town proved strategically important as it was situated on a critical supply line linking the Islamic State capital of Al-Raqqah, Syria with the city of Mosul in Iraq. After two days of combat, the Islamic State retreated and lost control of Sinjar. At the end of December, Iraqi security forces, supported by coalition aircraft, delivered a crushing blow to Islamic State forces in Iraq by retaking the city of Ramadi. Hailed as a pivotal victory, the retaking of Ramadi was just the latest in a string of defeats for Islamic State. During 2015, it lost approximately 40% of its territory to enemy groups. Aside from losing a large swathe of territory, Islamic State also lost several key leaders in 2015 and suffered damage to its infrastructure. An infamous figure named Mohammed Emwazi, also known as “Jihadi John” was killed on November 12th by missiles fired from coalition drones. Emwazi gained notoriety by appearing in several Islamic State execution videos. In another strike, on August 18th, a coalition operation destroyed a vehicle outside of Mosul Iraq, killing Fadhil Ahmad al-Hayali. Al-Hayali was the deputy to Islamic State leader Abu Bakr al-Baghdadi, and was responsible for managing the group’s finances, media, and logistics. On December 24th, another coalition airstrike killed Charaffe al-Mouadan, an Islamic State leader responsible for planning the attacks in Paris. In addition to targeting high-level personnel, coalition aircraft destroyed several convoys transporting crude oil, a critical source of funds for Islamic State. By the middle of November, over 100 oil transport trucks had been destroyed by coalition missiles across Iraq and Syria, chipping away the group’s revenue stream. The IMG Group is a leading global security firm with considerable experience in corporate security and international security consulting. Corporate or business organizations concerned about their need for worldwide security expertise can reach out to the IMG Group for assistance. The company’s expert security consultants provide services such as international threat assessment, supply chain security, corporate risk assessment, crisis management consulting, workplace violence consulting, technical surveillance countermeasures and more.